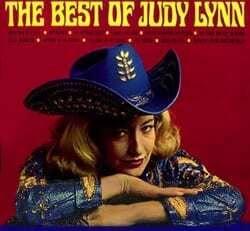 Country singer, Las Vegas headliner and former beauty-pageant queen Judy Lynn has died at age 74. Ms. Lynn recorded more than a dozen albums and had hit singles with such titles as “Footsteps of a Fool” (1962) and “My Secret” (1963). She was also renowned as the most flamboyantly costumed country star of her generation. Born Judy Lynn Voiten in 1936, she was the daughter of bandleader Joe Voiten. Raised in rural Idaho, she was an authentic cowgirl who could rope and ride at an early age. She first performed in public at age 10. Blonde and blue-eyed, she was named Queen of the Snake River Jamboree in 1952. The following year, she was crowned America’s Champion Yodeler. She competed as Miss Idaho in the 1955 Miss America contest and finished as a runner-up. In 1957, she was chosen to co-host the first national Grand Ole Opry network telecast. She also became a frequent guest on Jimmy Dean’s network television show. During her heyday in the 1960s she had her own syndicated TV series. She became a tireless entertainer for the troops, making many USO tours overseas. She also began headlining at The Golden Nugget in Las Vegas. She settled in that show-business capital and eventually graduated to starring at Caesar’s Palace. Ms. Lynn appeared with Eddy Arnold, Red Foley, Elvis Presley, Rex Allen, Eddie Fisher, Gene Autry, Ferlin Husky and other top stars of her era. Her album jackets illustrate her eye-popping visual flair. Ms. Lynn performed in elaborately tooled cowgirl boots in vivid colors to match her skin-tight stretch slacks and figure-hugging blouses. She was clad in electric-blue leather, shimmering purple lamé, green gabardine embellished with shiny gold or silver flowers, rhinestone bedecked crimson polyester or blouses with metallic sleeve fringe, always topped by matching kerchiefs at the throat and highly decorated cowgirl hats atop her gleaming golden tresses. She moved to Musicor Records in 1966. By then, she had expanded from her Vegas base to also headline in the casinos of Reno and Lake Tahoe. She was produced by Frank Jones on Columbia Records in 1969, then returned to the charts with Alex Harvey’s song “Married to a Memory” on the independent Amaret label in 1971. Her last charted single was 1975’s “Padre” on Warner Bros. Records. Ms. Lynn was married to musician Jack Kelly. In 1980, she abruptly quit show business to become an ordained minister. She died at home of congestive heart failure on Wednesday, May 26. At the time of her passing, she was residing in Jeffersonville, Indiana. She is survived by a daughter and several grandchildren.